The new Nebraska coaching staff has certainly hit the ground running when it comes to recruiting. The coaches seem to have a very detailed plan of exactly who they want to target, extend scholarship offers to and visit in-home. The positions that they are going after also suggests that they have a good understanding of the current roster's limitations. With the amount of offers flying out the door right now, it can be hard to keep up. Here are the prospects that are known to have gotten scholarship offers from the new staff so far. 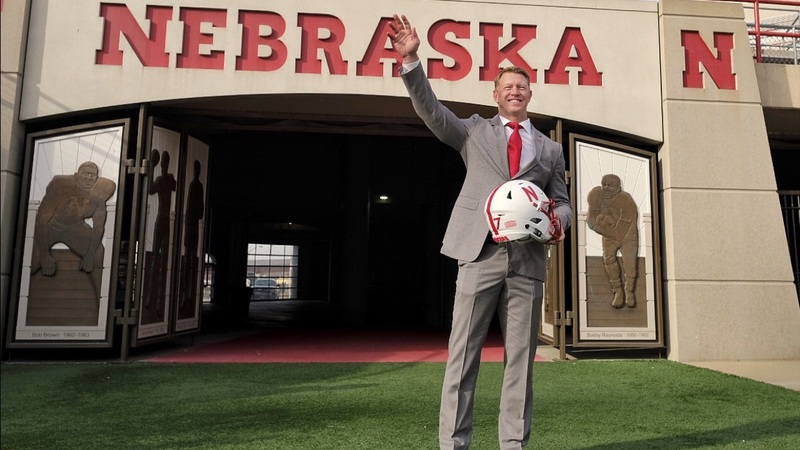 The dual-threat signal caller was the first quarterback offered to Nebraska by the new staff. Quarterback coach Mario Verduzco offered Martinez. The Tennessee commit is the perfect combination of passing ability and running to make this offense go. Look for him to set up an official visit to Nebraska in short order. The Texas linebacker commit is one of the most high-profile offers for Nebraska. Originally from St Louis (now at IMG), Adeoye is one of the top linebackers in the country. Honas is one of the most intriguing new offers to me. Immediately after his offer went out, I received multiple messages from other recruiting analysts saying he should be a top priority based on his hard-hitting alone. The Baylor commit certainly has something that will be a familiar theme among the skill-position players: speed to burn. He has the skills to play either running back or receiver. Hunter will be a big prospect to watch for in the 2019 class. He’s a pass rushing specialist and is the only new 2019 offer I’ve seen so far. The former Florida State commit has great size (6-2, 200) and was considered a UCF lean before the coaching change. He is a good candidate for the first new commit of the Frost era. Green was also committed to Florida State before all the turmoil in Tallahassee. He has prototypical wide receiver size (6-3, 195) and fills a need Nebraska has for a bigger receiver. The big (6-7, 305) lineman is just up the road at Iowa Western. He is currently commited to Arkansas but is evaluating his options given the uncertain situation there. When you are his size (6-3, 195) and play cornerback, you will be very heavily recruited. Webb has a great relationship with Frost’s staff from their time at UCF. Look for Nebraska to get an official visit. Corbin seems to be a top priority for the Nebraska staff. He is a former Florida State commit and decommited from the Seminoles shortly after receiving the Nebraska offer. New assistant Ryan Held has already visited him. Jean-Baptiste was one of the first offers for the new staff. He is rangy and athletic making him a great fit in an attacking 3-4 defense. The speedy running back from Florida fits right into the role Adrian Killins had at UCF. He is a Louisville commit. The big tackle (6-5, 290) is an absolute mauler. He is currently uncommitted and should be one of the top tackle targets for the Huskers this cycle. Woodyard is a good athlete who could play either receiver or running back in Frost’s offense. This coaching staff like versatility. Bell is the third teammate from Arizona Western to get an offer from Nebraska. The do-it-all running back brings a lot to the table. Williams was the first new in-state offer by Frost and Barrett Ruud as they went in-home with him Sunday night. It will be an emphasis to keep talented players from leaving the state and starting with the Wisconsin commit is smart. Smith is another speedy and long (6-3, 175) cornerback option for Nebraska. He is currently committed to North Carolina State but told me Monday he was talking over an official visit to Lincoln with his family. Dean is one of the most heavily recruited players in the country with over 30 offers to his name. He is currently a Tennessee commit and visited Alabama recently. Smith seems to be a priority target for the new staff. He has already had an in-home conducted by outside linebackers/special teams coach Jovan Dewitt.